The Hatchet 2+1 is the ultimate set-up for high performance longboarding. 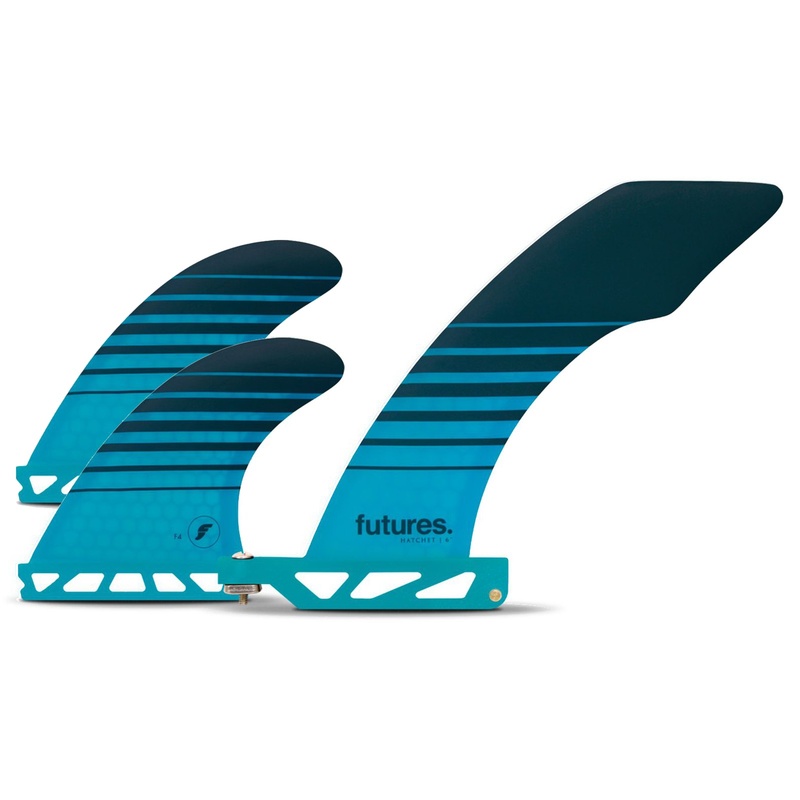 Made from lightweight honeycomb and featuring Futures' V2 foil in the side bites and a 6 Cutaway center fin. The Hatchet 2+1 set simulates the freedom of riding a much smaller board, allowing you to get your board more vertical. The Hatchet has a unique 50-1 foil that is noticeable thicker, which allows for more lift and fluid rail to rail linkage.